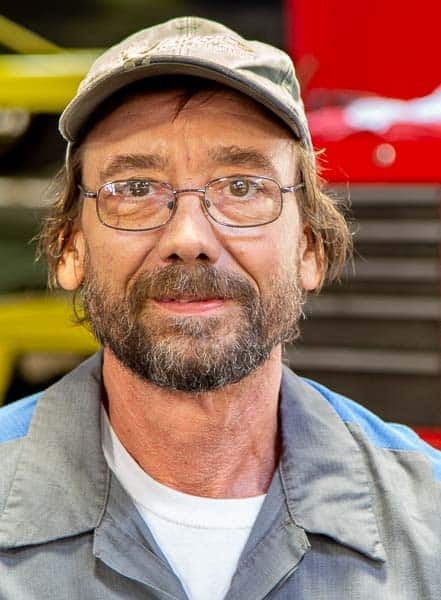 Jim is married with two kids, and has been working in the automotive repair industry for 32 years. He opened CMD Automotive in 1995 and has been a working partner ever since. Jim is an ASE Re-Certified Master Automotive Technician. 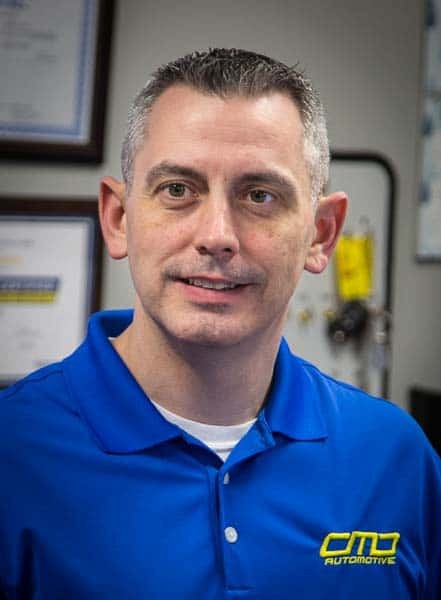 He is also a certified MIG and TIG welder, is certified in anti-theft systems as well as a locksmith, and holds a certification in Advanced Fuel Systems. He also has a Federal Air frame and Power plant License, and is a factory-certified BMW technician. Jim’s vast experience means your car will be well taken care of at CMD, giving you the confidence you should find in an auto repair shop. Dwight is married and got started in the automotive industry at Motorsports Technology College. He has been in the automotive repair industry for 30 years, and has been at CMD since 1998. Dwight is an ASE Re-Certified Master Automotive Technician, is a licensed vehicle inspector, has systems training in air conditioning service, and is a certified MIG and TIG welder. There is nothing Dwight cannot do with a vehicle. Kevin is a native Charlottean from the Northeast side of town. A graduate of CPCC, ASE, Hybrid Maintenance and Michelin Certified, he is the smiling face you’ll see at the front desk. When he’s not at work or dancing the west coast swing, he can be found on his Harley. 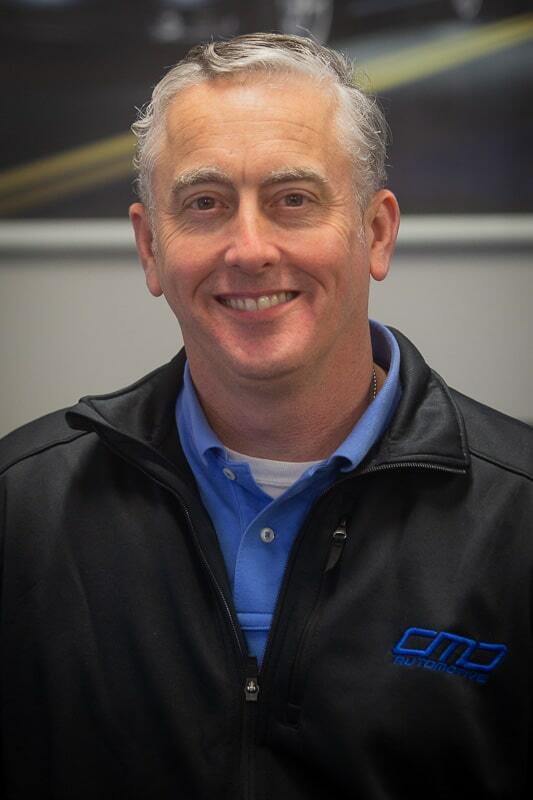 Bill White has teamed up with Kevin on the service team and brings over 25 years of Automotive Industry experience to CMD. 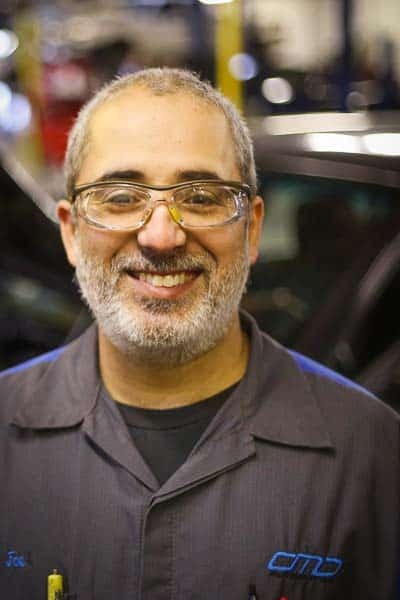 Bill learned by example of his older brother who, was an ASE Certified Master Tech, the value of not just repairing broken cars, but building relationships of trust with life long customers. Bill has been ASE Service Writer certified, Multi-Term President of local Automotive Business Development Group, import parts specialist certified, Pentosin Fluid certified, Bridgestone and Hankook Tire Specialist and most recently spent the last 3 years working with over 150 local repair shops in coordinating training classes, inventory control and the value of using the best quality part for the repair. Bill is a 9th Generation Charlottean that enjoys and embraces what it has grown to be. Away from work you will find him either playing or coaching soccer. Enjoys hiking NC mountains with his family and his rescue dogs Siggi and Bentley. Says some of his favorite concerts have been at the Pterodactyl, The Neighborhood Theatre and the Visualite. Joel is married with three kids and has been in the automotive industry for 20 years, and joined CMD in 2009. He took part in a co-op at CPCC with General Motors, which got him his start as an automotive technician. He tends to focus on foreign cars that come into the shop, particularly BMW’s, Mercedes, and Audi’s. If it can be taken apart, Joel can put it back together. 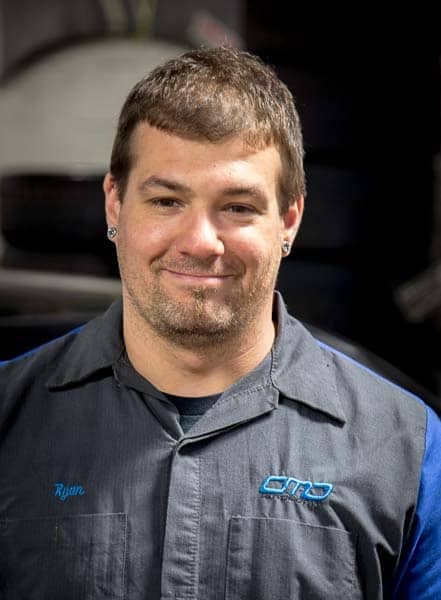 Ryan has been a car enthusiast his whole life and has been working on cars professionally for 12 years. His expertise is in Audi and Volkswagen brands. Self taught and quick to catch on, Ryan is married with two dogs and is originally from Massachusetts. 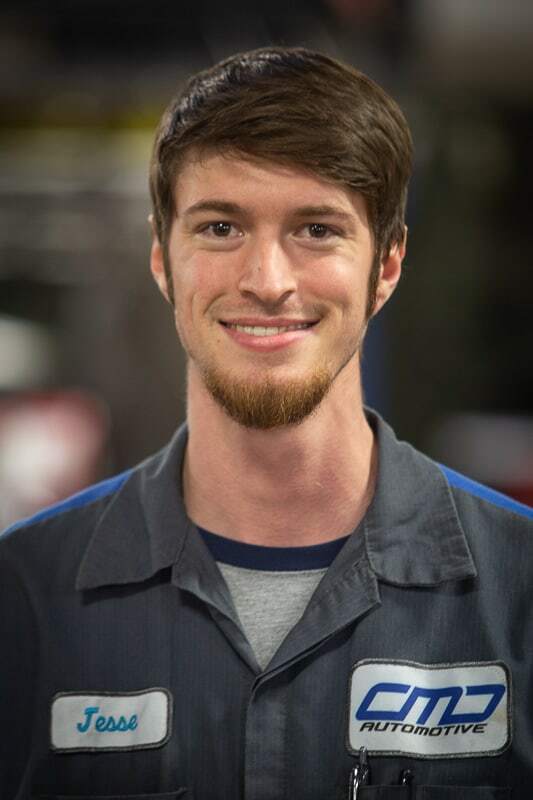 Jesse Meckola is from Charlotte and a graduate of Central Piedmont Community College in Automative Technology. Here at CMD, he’ll be performing NC licensed inspections among other things. 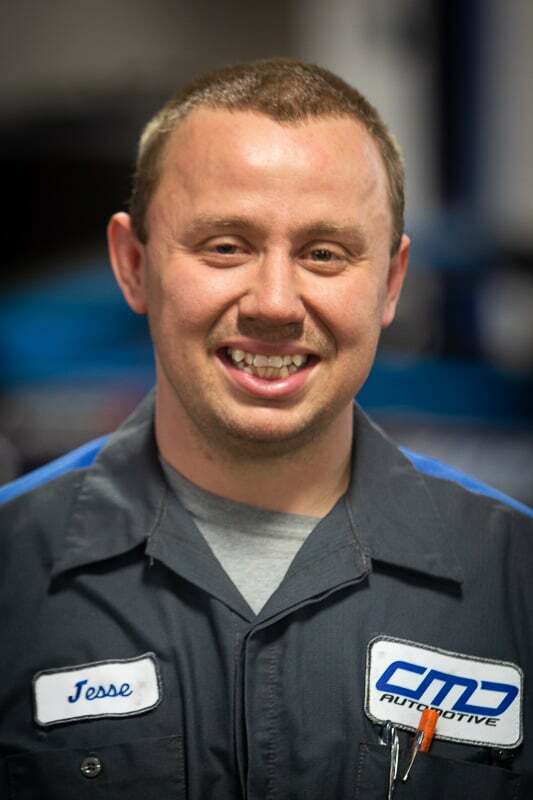 Specializing in heavy mechanical and engine transmission, Jesse Tuma hails from New Prague, Minnesota where he graduated in Automotive Technology from the Dakota County Tech School. He's an avid outdoorsman and animal lover. Jesse brought yet another dog into the CMD family with his Belgian Malinois Fritz. Jesse's wife spends her time helping at the Humane Society nearby. Originally from Michigan, Chuck and his wife have been in Charlotte for about 5 years. He had a small 4 bay shop of his own up north for many years before deciding to move to the area. Chuck is ASE Master Certified. When he’s not working on suspensions & brakes, he is on his pontoon boat on Lake Wylie.